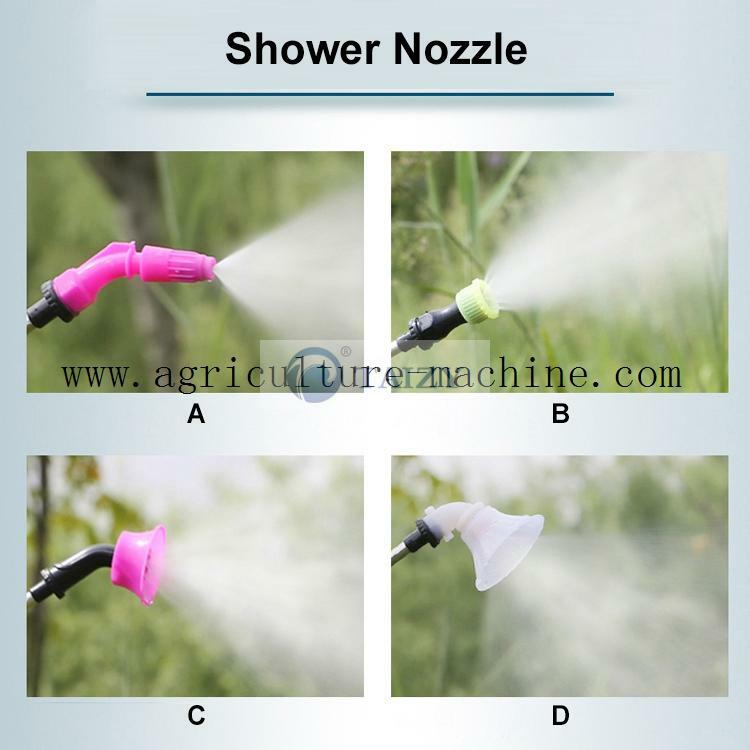 Backpack sprayer has a variety of replacement nozzles for a wide range of applications.It can be used for fruit trees, crops,farm disinfection,etc. there is breathable back cushion to protect the back from damage. 1. 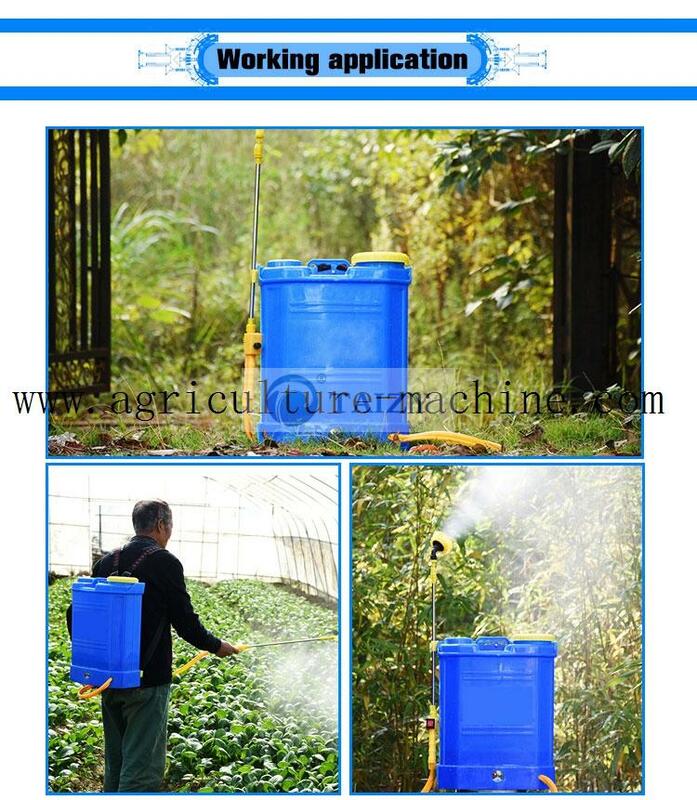 This knapsack sprayer combined with electric and manual operation can meet the requirements of small farms. 3.There is a controllable switch,which will work immediately when you turn on. 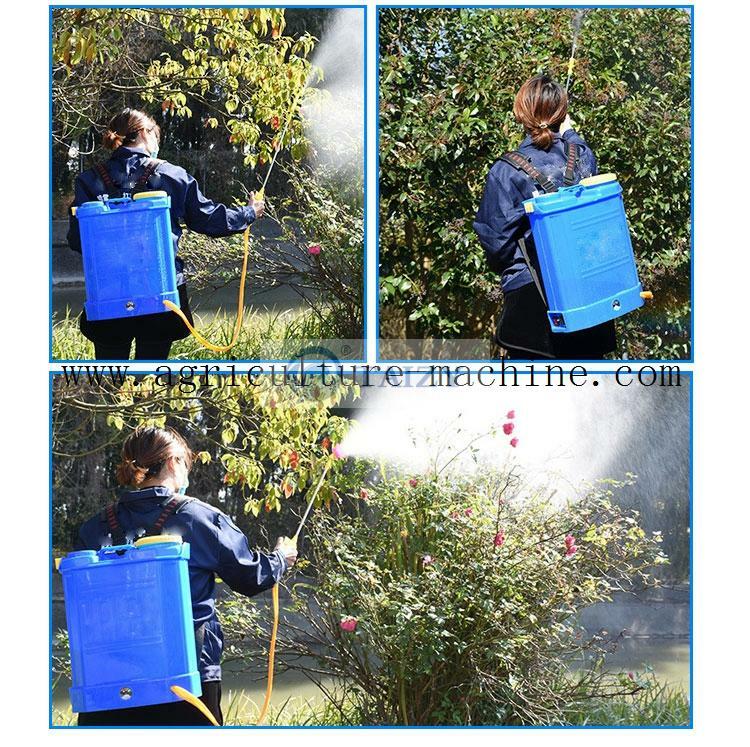 How to use backpack sprayer? 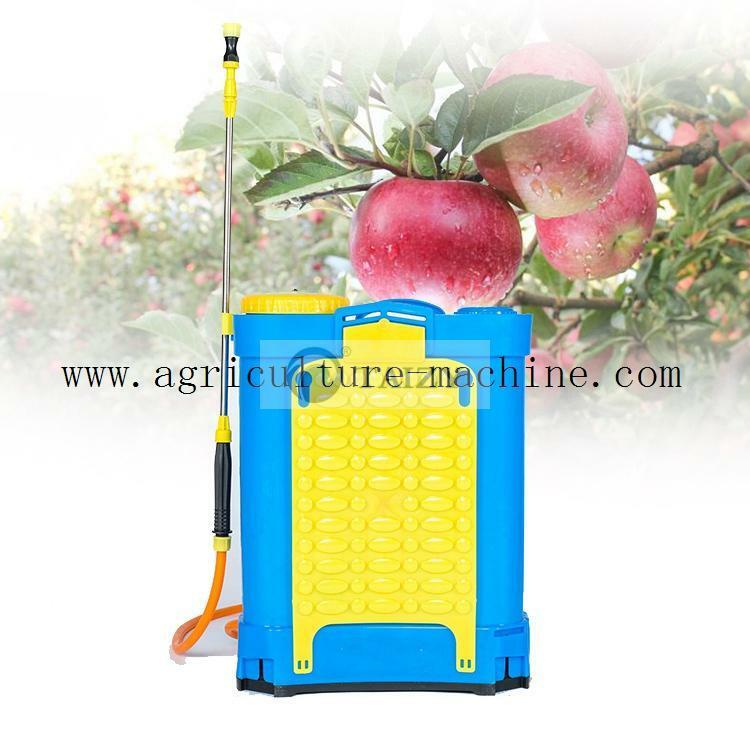 1.Install the knapsack sprayer parts correctly. Check the connection for leaking. 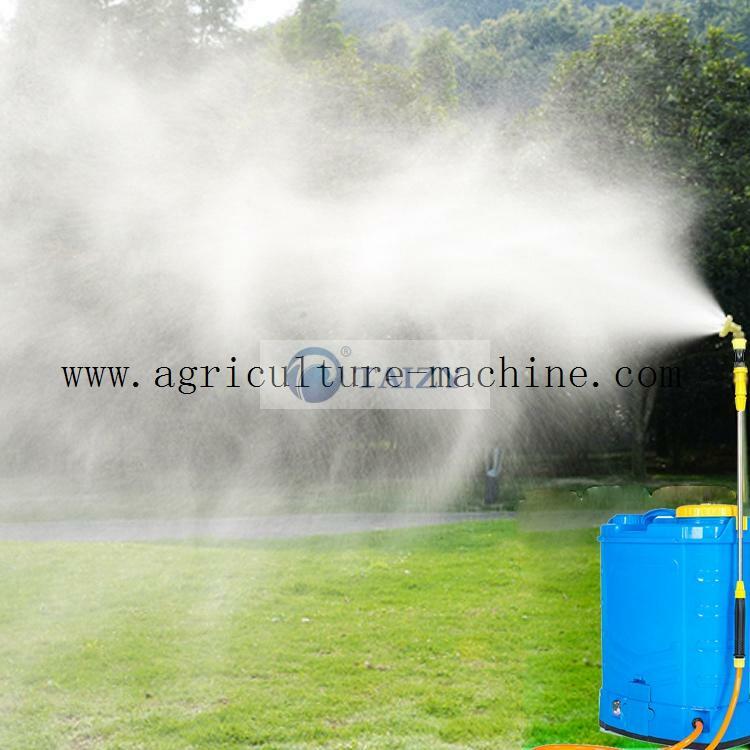 When using, install the water spray firstly, then refill the medicine. 2.Before filling the liquid in the tank, please be sure to turn off the switch to prevent the liquid from leaking out. 7. After the work is completed, the residual liquid in the barrel should be poured out in time, and dry it later. 8.Meanwhile,check whether there is any water in the air chamber. Operator should remove the water joint and release the accumulated water. 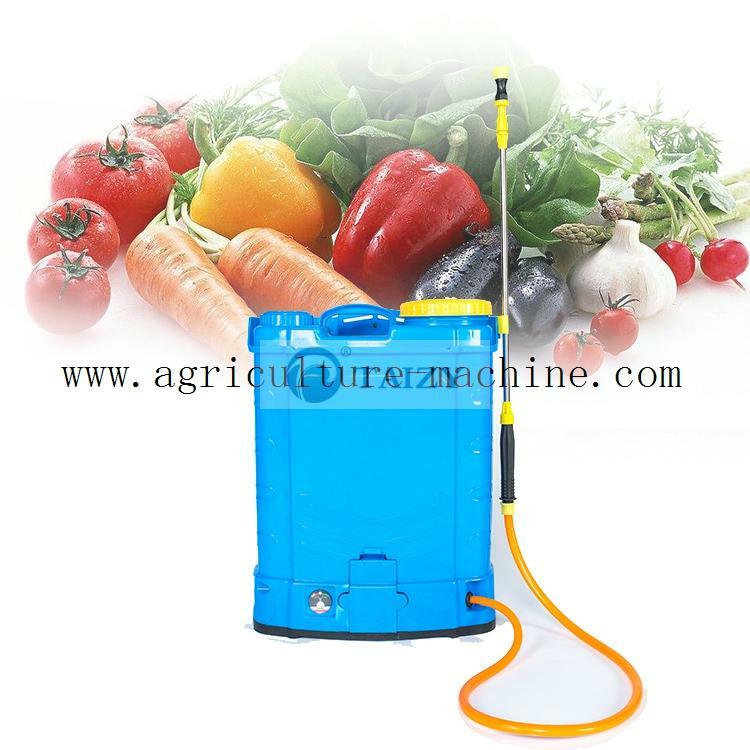 1.Operator should strictly comply with the use of pesticides according to the operating procedures. 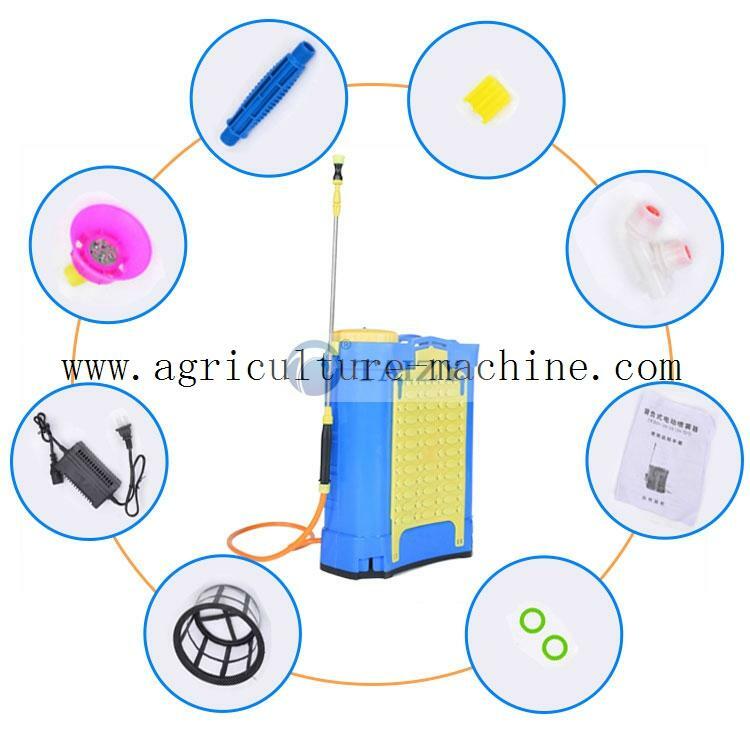 2.If the backpack sprayer is not used in a short time, the main parts should be cleaned and dried, and store it in a cool and dry place.